Pathways old website was so old it was broken and painful to look at. A fresh design centered around the programs they offer made it much more user friendly. 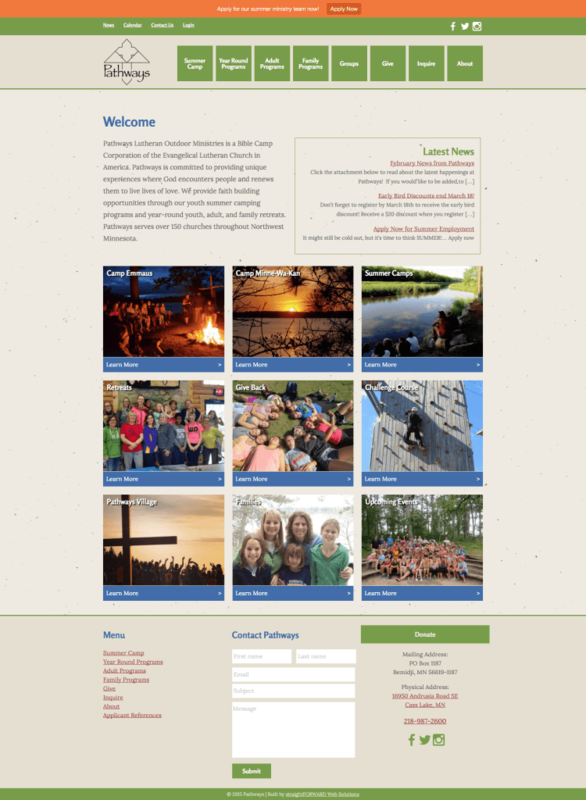 Custom theme design that uses The Events Calendar for camp programs.